Photograph after the battle. 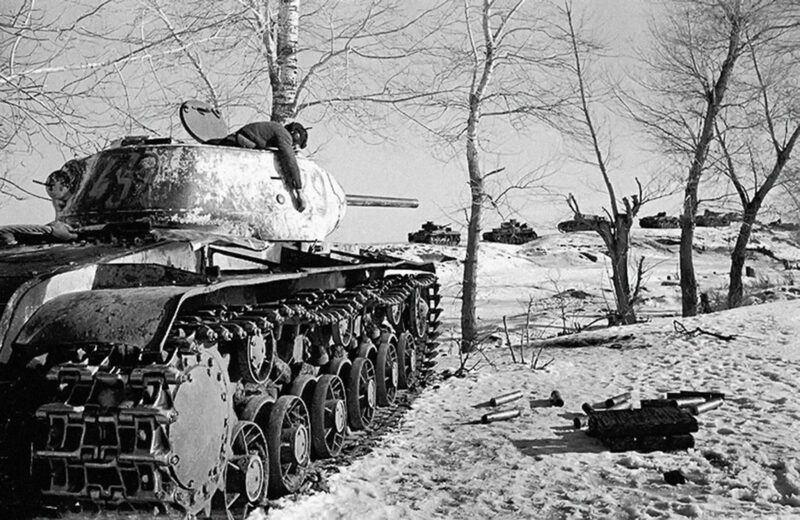 The Soviet heavy tank KV-1S (high-speed), which was shot by a German tank convoy, and its deceased member of the crew. Voronezh Front.